Captain Art and crewman Ben Hart ready to share tackle tips. 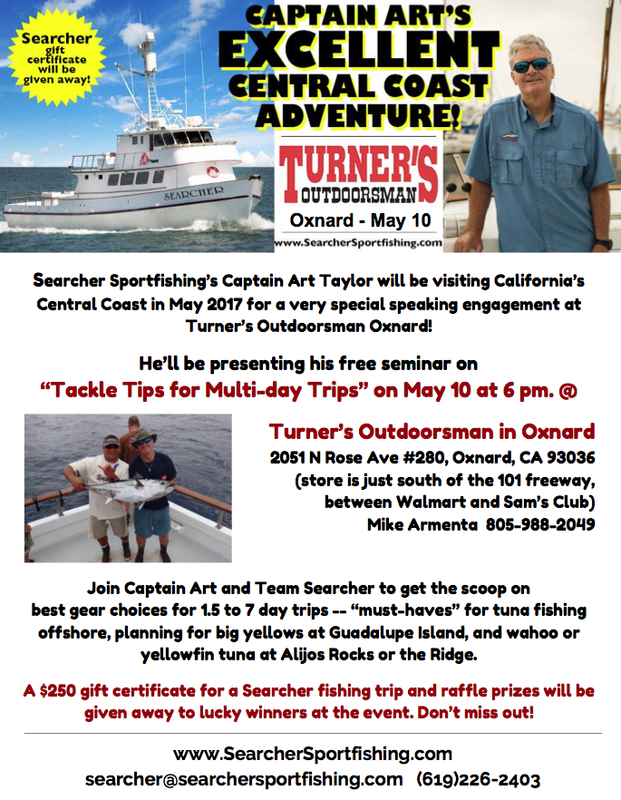 Turner’s Outdoorsman has a great venue for our fishing seminars. Crewman Ben demonstrates some knot-tying. Welcoming familiar faces to the seminar in central California. Manager Mike A. helped with the raffle prizes. Thank you for hosting us, Mike Armenta!